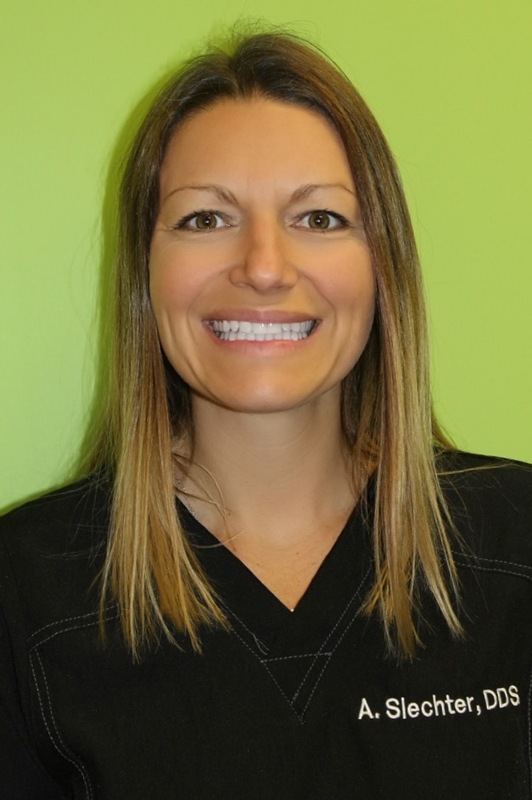 Dr. Alison Slechter graduated from The Ohio State University College of Dentistry in 2007. Prior to that she graduated from The Ohio State University with a BS in Biology in 2002. She has a great deal of experience with restorations, dentures, crowns, bridges, root canal therapy, and pediatrics. She is a member of the American Dental Association, the Ohio Dental Association, and the Rehwinkel Society. Dr. Slechter was born and raised in Columbus and is a devoted Buckeye. Her husband, Jake, and daughter, Mallory, are the loves of her life.